First there was Vine, then Musical.ly, and now TikTok. Vine was shut down in early 2017, and Musical.ly merged into TikTok in late summer 2018, leaving TikTok as the current dominant platform for short-form video sharing. In this post, we’ll answer some of your pressing questions about the latest hot social app. In 2016, a new video sharing mobile app named Douyin launched in China. A year later, it was introduced to other countries as TikTok, and it soon gained popularity in the U.S., becoming one of the most downloaded apps of 2018. Open the TikTok app, and you’ll see short-form looping videos on the “For You” home feed. The videos are vertical, and take up the whole screen. To the right, you can see a heart icon to “like,” a speech bubble to “comment,” and a “share” icon to either post on social media or send as a text message. Swipe up on each video and you’ll be taken to the next one. If you like someone’s videos, you can follow them, and as you follow more users, your “Following” home feed will start to populate with videos created by people you’re interested in. These are the basics of TikTok, and if you’re familiar with Instagram or Snapchat, the rest is fairly intuitive. There’s a notification tray, each person has their own profile, and the plus icon in the bottom-center is where you go to post a video, complete with all kinds of editing and sound tools. Thanks to its Musical.ly roots, music is an important feature many take advantage of, leading to a seemingly infinite amount of lip sync and dance videos. Challenges are the norm, usually grouped together with a hashtag. And thanks to its short-form format like Vine, users are finding creative ways to entertain in just a few seconds of smartphone-shot video. 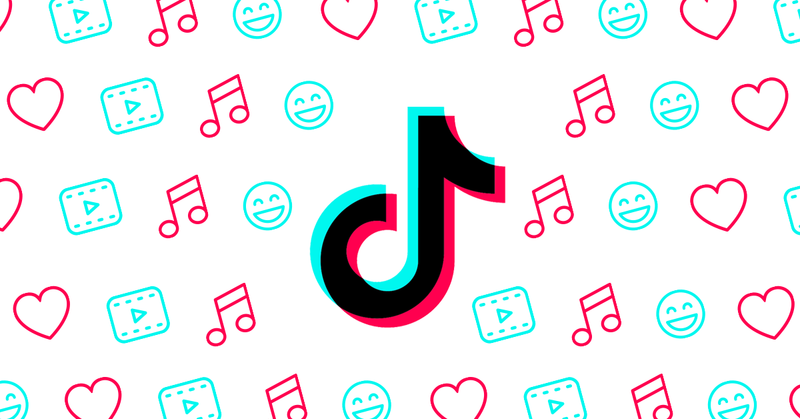 With Snapchat’s growth slowing, and Instagram’s continuing at a steady pace, TikTok has made a big impact in a small amount of time by capturing the attention of Gen Z.
Trendy dance videos – These include the Floss, Rockefeller Street, and the Orange Justice (or Mask Off) dance. Nostalgic dance videos – Users will take a popular and/or nostalgic song and do their own original dance to it. Lip syncing – Pretty self-explanatory. Duets – Users can “duet” on any TikTok, which stitches the original video with their own as a split-screen. Users will generally either react to a video or supplement it. Voice dubbing – People will take snippets from movies or TV shows and dub themselves on camera as if they were speaking the lines. Cute animals – Cats, dogs, and anything adorable have also found a home here. Stop motion – From a toy on a tabletop to someone patiently editing themselves levitating across a yard or snaking up the stairs. 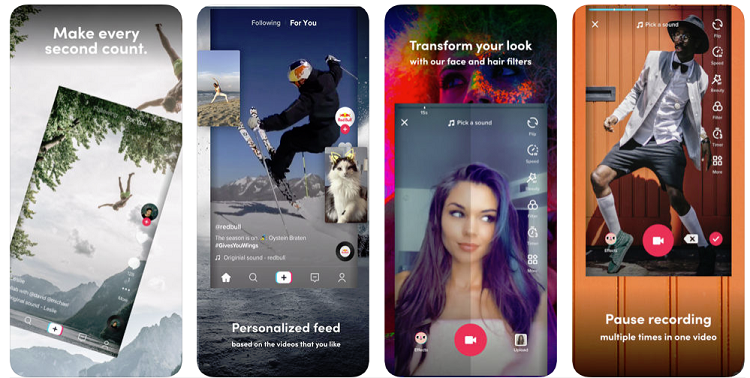 Weird effects – Like Snapchat, TikTok has its own share of bizarre facial filters. Random point-and-shoot – A snippet with little context can lead to hilarious results – take this bear and skunk on someone’s deck as the theme to The Office plays. Artists – Many will post time lapse videos of their sketches. Transitions – Very clever editing. Memes – TikTok even has its own meme videos that simply catch on. Sometimes it’s a song that sees a new light, songs that randomly spur new dance crazes, or ones that have a lead up to a beat drop. Yes – but brands need to be smart in their execution. Based on the examples above, it’s clear that branded content isn’t commonly found in the TikTok feed. While the platform is still new, this is mostly a matter of authenticity, which is becoming increasingly more important. So, for brands to join TikTok and stay authentic, they have two options: partner with an influencer or pay for one of TikTok’s ad products. Partnering with an influencer can be as simple as vetting a TikTok star to work with..
Brands which are looking to reach younger target audiences should pay close attention to TikTok’s ad products as they’re announced and rolled out. Marketers that have the right product, audience, and idea can even start on TikTok today by searching for potential influencers to partner with. TikTok as a platform is relatively young, but as we’ve seen in social media, things happen at a breakneck pace. Now is the time for brands to stay ahead of the curve, and experiment with a new, promising, and fun network before everyone else catches on.